Joseph was born in 1884 in Liverpool but by 1914 was living in Church Place, Rainhill with his wife Catherine and three young children. 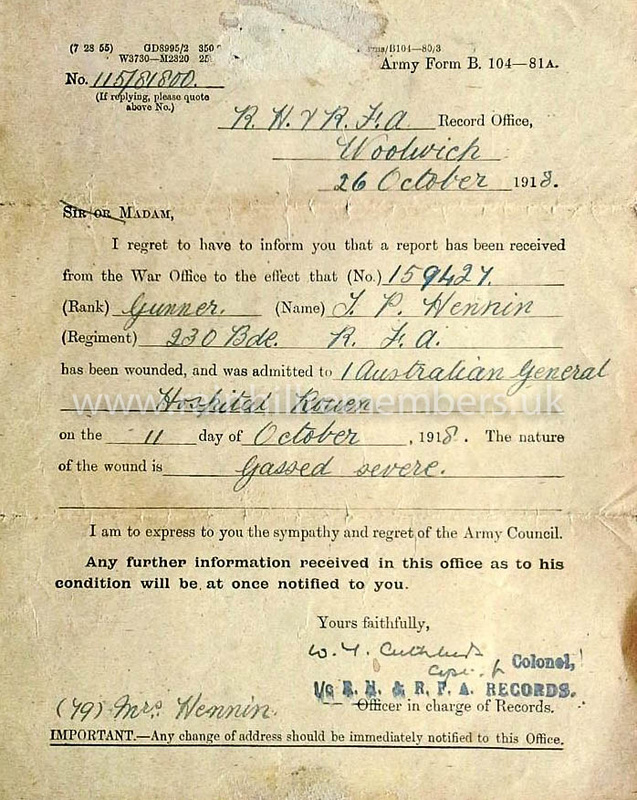 In 1916 Joseph, aged 31 signed up as a gunner and was in active service until 1919. On enlistment he gave his address as 13 Victoria Terrace and his trade as grocer. 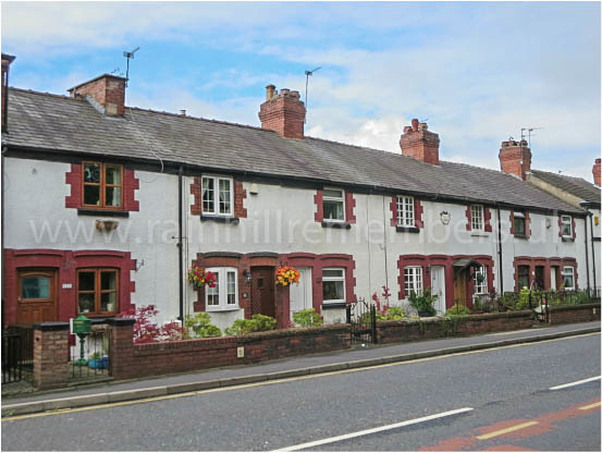 His shop, which he inherited from his father, was in Market Street, Rainhill. In 1920 twins, Gertrude and Frances, were born to Joseph and Catherine. Joseph was assigned to the 26th Reserve Battalion of the Royal Field Artillery and he was posted to France in January 1917. 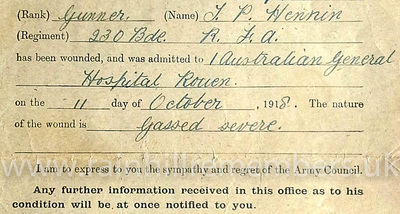 In October 1918, Catherine who was still living at Victoria Terrace with three children to support, received a report that her husband was in hospital at Rouen in France – severely gassed. 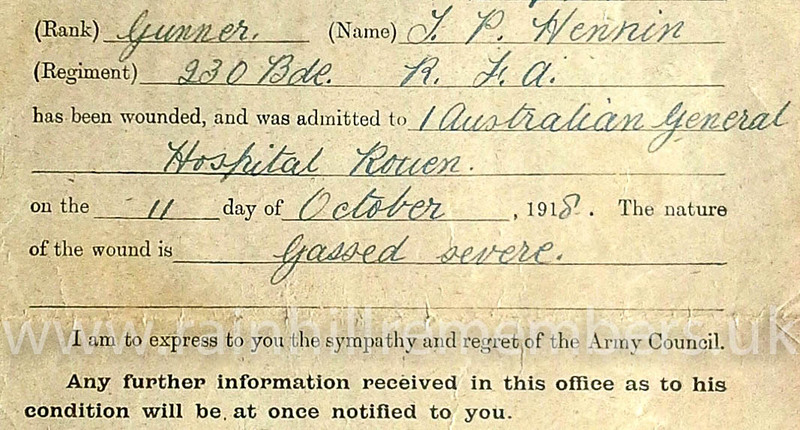 In November 1918, Catherine received another letter saying that he was at 73 General Hospital, Trouville in France. 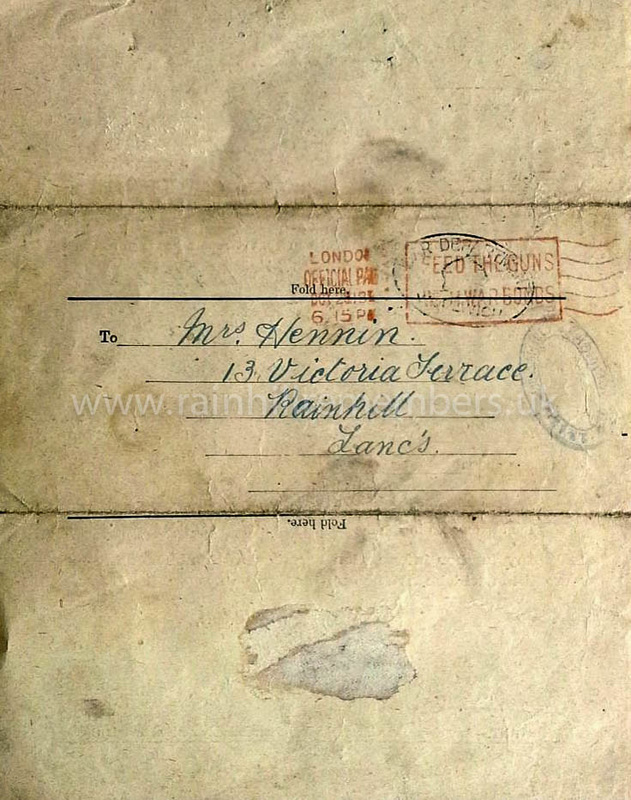 In March 1919 he was given 28 days leave and during this time he was able to claim payment at the Post Office in Rainhill. 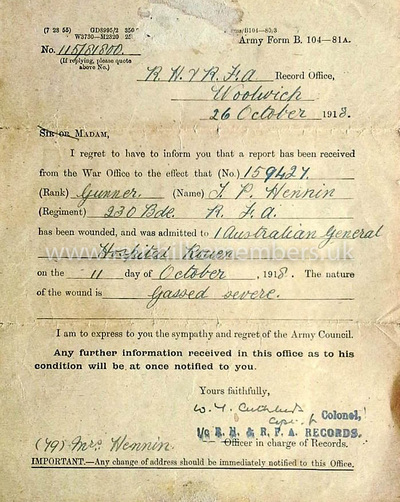 Due to being gassed Joseph was transferred from the 26th Reserve Battalion to class Z Army Reserve on 23rd April 1919. 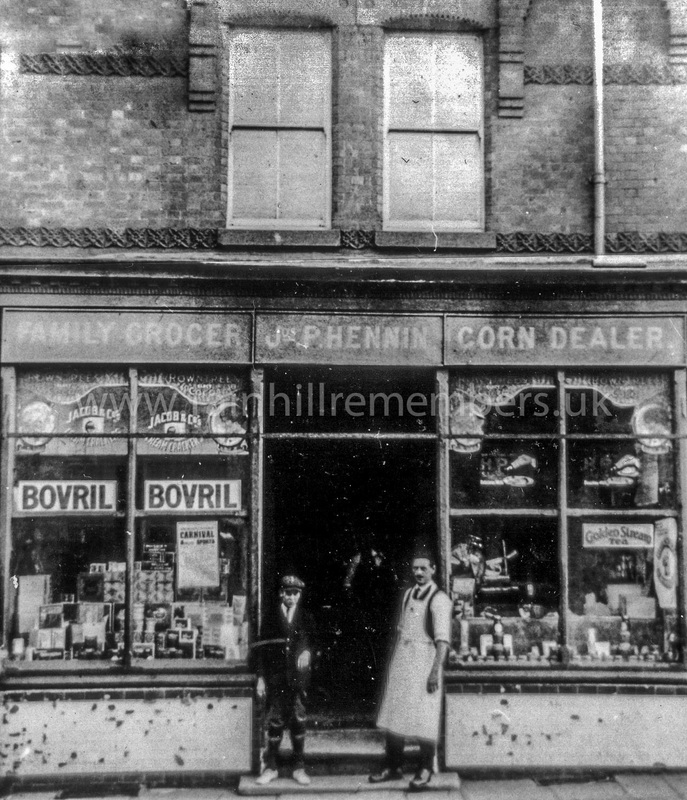 After the war, Joseph Hennin worked for the family grocery business in Rainhill. In 1920 twins Gertrude and Frances were born and in 1922 they lived at Bank House in Market Street. Osmund Stapleton-Bretherton was killed in action on March 22nd 1918 at the age of 19 years. Acknowledgement: Thanks to Catherine and Robyn Emley for sharing their family history about Catherine’s grandfather – Joseph Patrick Hennin. In 1914, Patrick was living in Church Place, Rainhill. The above photograph is of Church Place taken in 2015. The cottages look very much as they did in 1914 except that they are now painted white.